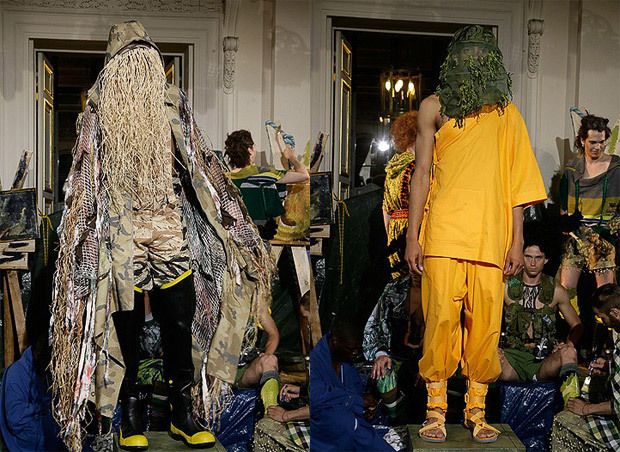 Amongst the fashion world, Bernhard Willhelm has been consistent in his innovative and one-of-a-kind approach to fashion. His 2010 spring collection is seemingly trademark Willhelm as the German-born design walks a fine line between art and wearable fashion. Some of his most captivating pieces are hard to describe as they follow far from the conventions of fashion but nevertheless offer a glimpse into his creative world where there seems to be few barriers.